Tom Daley made his first competitive appearance since the 2015 World Championships at the Irish Open Diving Championships in Dublin. The 21-year old, who won Team gold and 10m bronze in Kazan this summer, had no problems lifting the Platform title in Dublin, scoring 433.20 from a list of dives off the 10m, 7.5m and 5m platforms. Daley also put together a competitive score to win the senior 3m title, scoring 410.50 to defeat Commonwealth bronze medallist Oliver Dingley, who is aiming to reach the Rio 2016 Olympic Games for Republic of Ireland next summer. Dingley turned the tables in the 1m Springboard, scoring 384.60 to Daley’s 383.55. 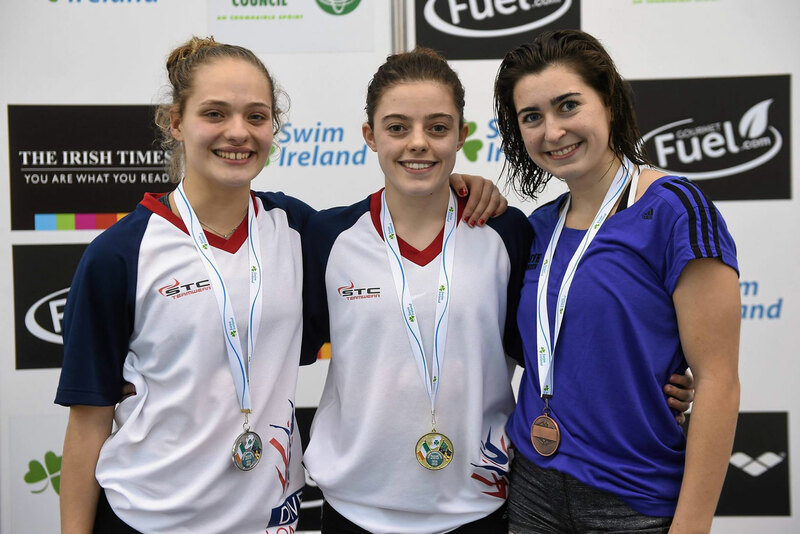 There were plenty of other success stories for Jane Figuereido’s Dive London squad in Ireland, not least Georgia Ward’s clean sweep of the senior women’s events. The 20-year old, who won 10m Synchro silver at the European Championships earlier this year, scored 276.05 in the Platform, won the 3m on 252.75, and narrowly held off new training partner Francesca Del Celo to take the 1m on 232.65. Kyle Kothari is another new recruit to Dive London and marked his first appearance with a golden double, lifting the junior Platform and 3m crowns. The 17-year old scored 387.50 for victory in the Platform and 326.60 to take gold in the 3m, with teammate Noah Williams – who won the Group B 3m title at this year’s British Elite Junior Championships – second in both events. Southend’s Connor Van Dal, who won 3m Synchro bronze with Williams at this year’s European Junior Championships in Moscow, claimed the 1m title with a score on 275.20. There were three more English winners in the junior women’s events with Dive London’s Grace May (202.60) winning the 1m, Crystal Palace’s Ciara McGing (229.35) lifting the 3m, and Dive London’s Lucy Sefton (227.35) taking gold in the Platform.